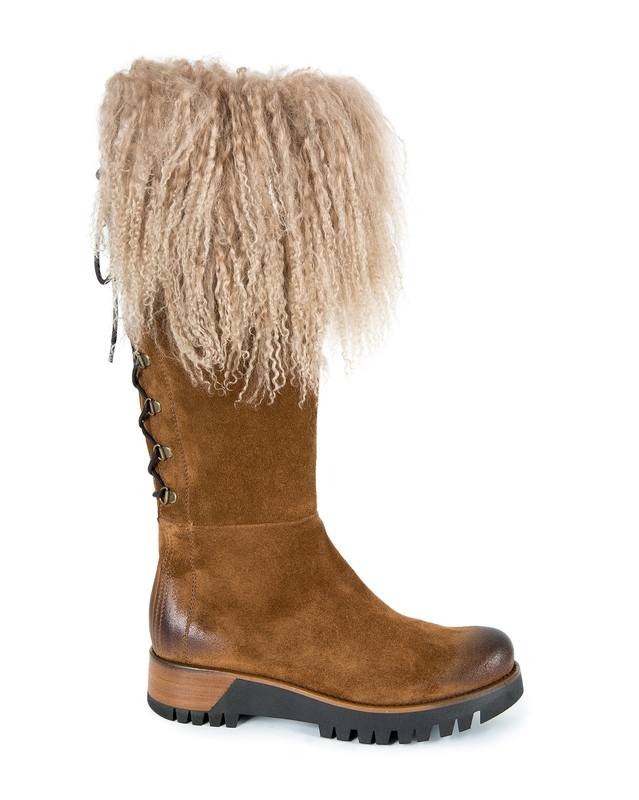 Make a statement in these glamorous, yet practical, knee high boots. 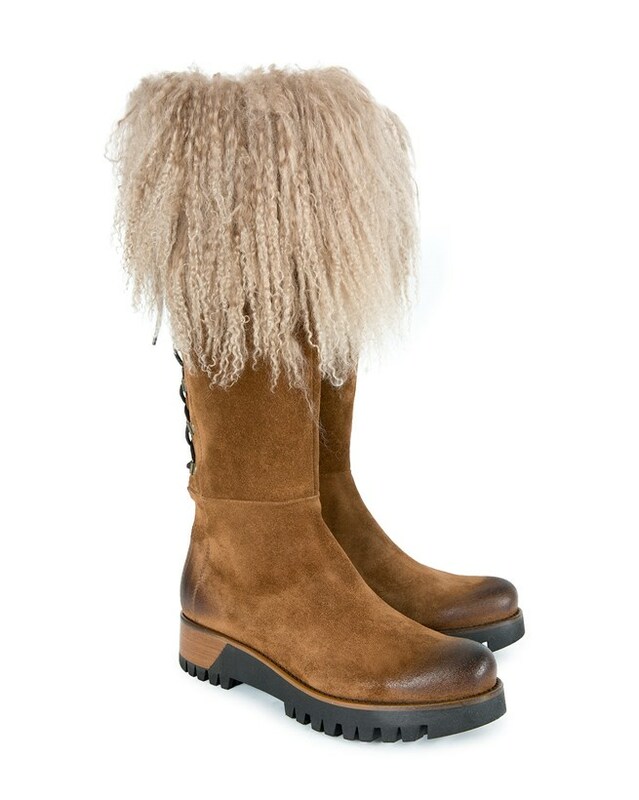 The fun curly wool trims and the corset laces are sure to stand out in a crowd while the goes-with-everything shade of tan and the chunky but ultra comfortable sole mean they can be worn all day. A side zip makes slipping them on and off easier than it looks, simply adjust the laces once to perfectly fit your leg and you'll be good to go. Fabulous boots, true to size, usual excellent quality & service I know I can expect from Celtic & Co. I wore them in the ice and snow yesterday and the sole/grip is very impressive but as previously mentioned - they do attract a lot of attention & people want to touch them to feel the fur! 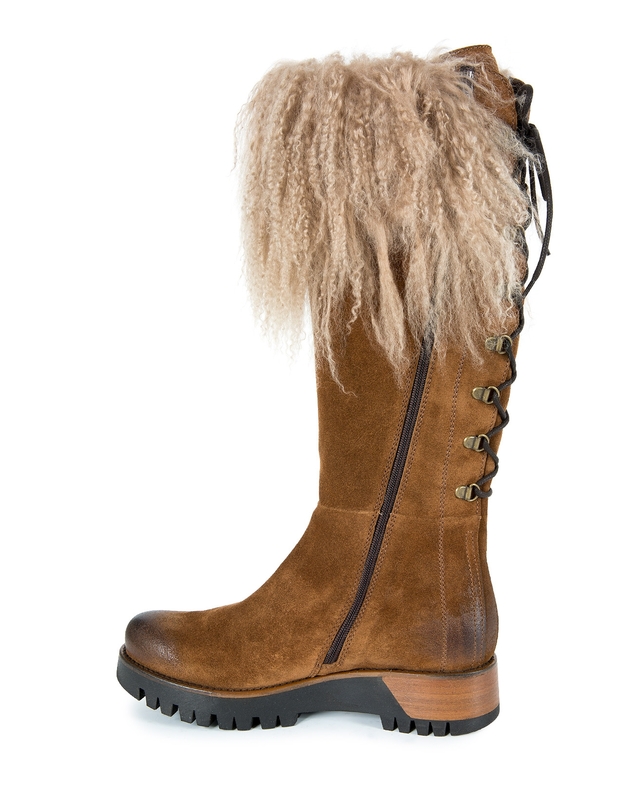 These boots were sold out in my size and I checked back constantly and bang there they were! They arrived beautifully packaged and are excellent quality and very well made. They are different and not for the feint hearted as they real do make a statement. With Beast from the East2 on the way I know I will get lots of wear from them. They have an excellent sole for the snow and I LOVE THEM. 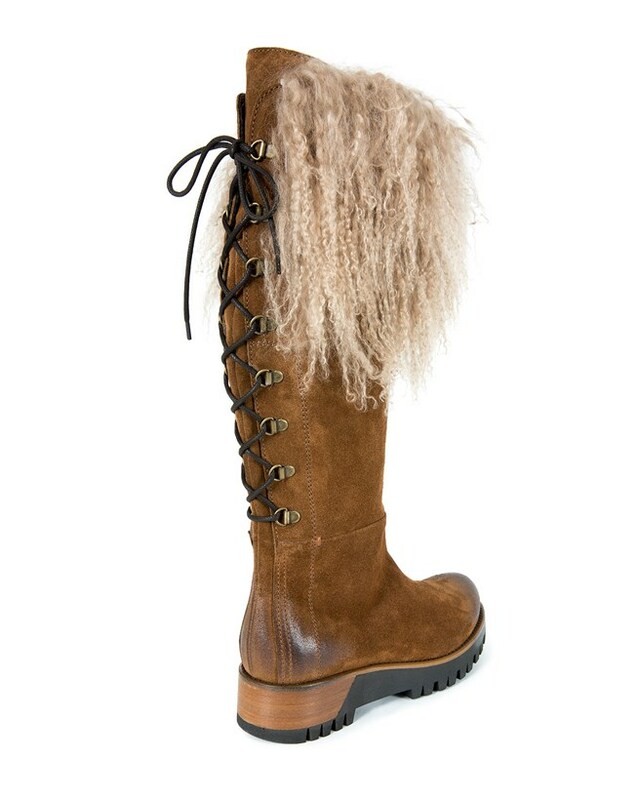 These are AMAZING boots! Super-comfortable and beautifully made. Only reason I didn't keep them is that they're a little much for me at only 5'3". So sad to send them back! These Himalayan knee boots are absolutely the best boots I now own. The fit is beyond perfect. I wear an US 8 shoe, usually buy US 8.5 in a boot, and I purchase these in 39. I was somewhat nervous about this purchase coming from such a distance, what if they don't fit, etc., but OH MY, they are PERFECT! I can't wait to wear them. We have the perfect fall/winter weather here in Seattle Washington to wear these often. I can't wait to show them off. I will definitely shop with this company again! Thank you! !